“The Great Glen Raids - which later became Sail Caledonia - were wonderful intense experiences. They seemed like a season’s worth of sailing crammed in to a week.” Iain Oughtred, boat designer (Water Craft magazine no. 111). The 2018 Raid was another great success with an eclectic selection of boats, while skippers and crews enjoyed fine passages and racing during the day with warm and friendly socialising each evening. The Results are now available and the Galleries page has photos from this year’s event. Don’t miss out next year, join the world’s longest running and best sail & oar raid - Sail Caledonia. 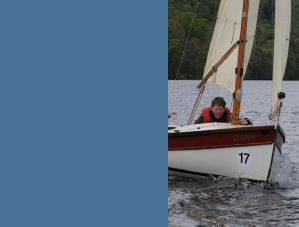 Well done to Jim Wise, overall winner of Sail Caledonia 2018 in “Jack”, a Swampscott Dory, repeating his success in the 2016 event. “Sail Caledonia was again a most enjoyable event with great camaraderie between all boats, crews and support staff. Anyone who appreciates stimulating company, laughter, live music, good food, occasionally challenging sailing, interesting small boats and a memorable experience should come.” Matthew Peacock, 2015 winning skipper. Sail Caledonia is the annual Scottish 'Raid' or expedition for boats powered by sail and/or oars which takes place in the Highlands of Scotland each May. Everyone who has taken part has acclaimed it a fantastic event and an experience not to be missed. 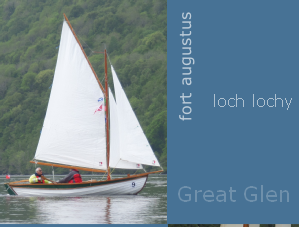 Using the Great Glen’s stunning and varied lochs and the 200 year old Caledonian Canal, a fleet of up to 25 boats sails, rows, races, explores and ceilidhs their way up the glen. 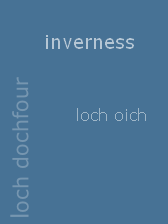 Accompanied by safety boats, nothing beats sailing and rowing from the Atlantic at Fort William, through Fort Augustus and the mighty Loch Ness, to the finish in the Beauly Firth at Inverness, the Highland’s capital. Sea-to-sea via some of the world’s most stunning mountain scenery in the safety of an accompanied expedition for small boats. 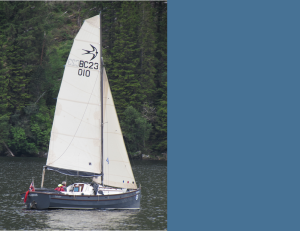 Sail Caledonia is a friendly, open event for smaller (c. 5m - 9m) boats capable of completing the journey under sail and/or oar. Anyone can join providing their boat conforms in general terms to one of the classes and the safety regulations set out in the Notice of Race (available on Downloads page). We are always looking to build on the success of previous years and attract sailing boats of many shapes and sizes. Please enjoy our web site and if you have any questions simply get in touch.